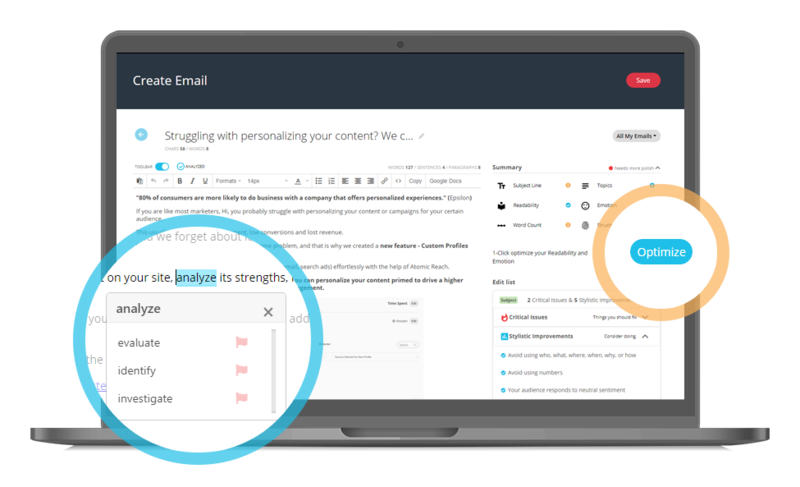 What if we told you that you could incorporate AI-driven insights in your content with just one click? No matter the content type (blog posts, marketing emails, search ads, product descriptions, & more), you can fully optimize in just 1 click. According to Content Marketing Institute, only 42% of B2B marketers say they’re effective at content marketing. 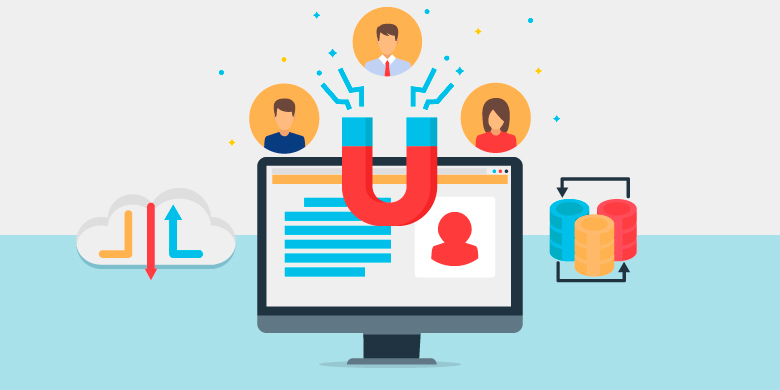 As HubSpot stated in 2018, 55% of marketers say blog content creation is their top inbound marketing priority. Make your data and content more effective by leveraging the fastest optimization process out there. As an Atomic Reach user, you have access to real-time data that is impacting a number of your KPIs. And now, actioning that data has never been easier. With 1-Click Optimization, you do not need to waste your time proofreading, you can optimize your copy with just 1 click. In less time, you can action all the recommendations we provide, allowing you to produce more. We are excited and confident that this will be a game-changer for marketers like you. Imagine how much content you'll be able to launch by significantly reducing your editing time. Wouldn't it be nice to spend less time creating content and more time basking in your success?